Do you want to build web pages but have no prior experience? This friendly guide is the perfect place to start. 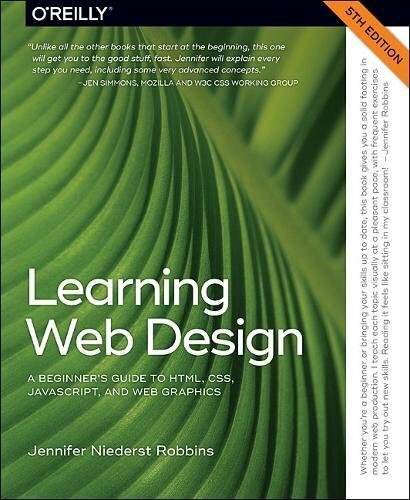 You’ll begin at square one, learning how the web and web pages work, and then steadily build from there. By the end of the book, you’ll have the skills to create a simple site with multicolumn pages that adapt for mobile devices. Each chapter provides exercises to help you learn various techniques and short quizzes to make sure you understand key concepts. This thoroughly revised edition is ideal for students and professionals of all backgrounds and skill levels. It is simple and clear enough for beginners, yet thorough enough to be a useful reference for experienced developers keeping their skills up to date.